A belated Happy Halloween to anyone who reads this. 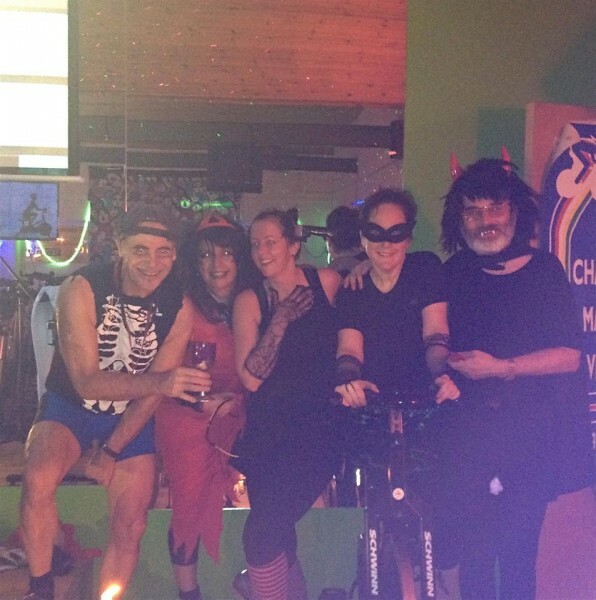 The photo below shows the few who bothered to dress up for last night’s Halloween spinning session. Hah – this is the closest you’ll ever get to seeing my face clearly on Facebook. Snurk!